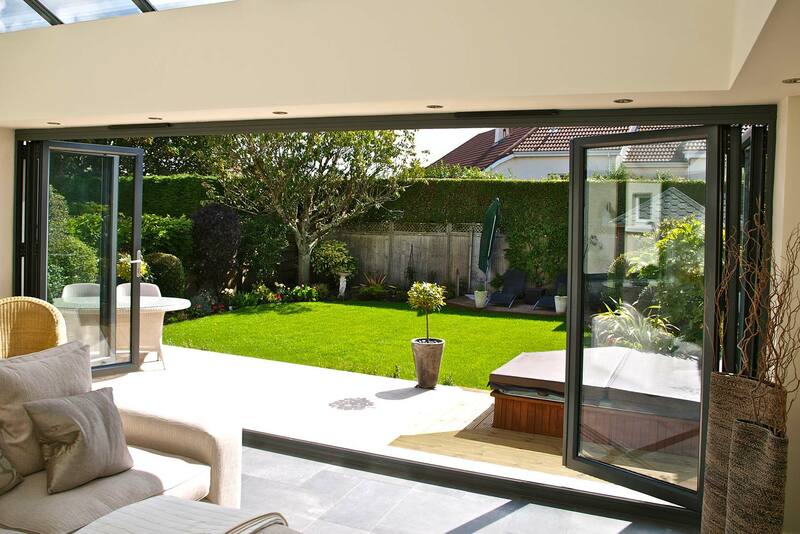 A bifold door could make a huge difference to your home as well as adding value. If you want to update your house, or add a feature to complement your new kitchen, a bifold door could be the answer. Camberley Glass and Windows have many years experience in supplying and installing bifold glass doors in the Fleet area. We are a local company who has build up a strong reputation for reliability and trust which is why much of our business comes from personal recommendation. Our experienced team is fully qualified and FENSA registered, and is available to give you all the advice you may need if you are in the market for a bifold door. Once you have decided on your requirements we can carry out an initial survey on location, offer a quotation, and, if it is acceptable we will install the door professionally and efficiently. All our bifold door installations come with a fully insured guarantee to give you peace of mind and show how much we believe in the product and in our workmanship. You can see what other people think of our work by looking at our testimonials page. Camberley Glass and Windows is a trusted trader on the Checkatrade website and has gained high scores for all its criteria. The company is also an approved trader on the Buckinghamshire and Surrey Trading Standards Approved traders list. Come and have a look at our showroom at our offices in Camberley, Surrey, where you can see our selection of doors and pick up a brochure. If you wish you could also talk to our staff who will give you the best advice possible without any pressure to buy.